Jeff Bezos, Amazon CEO and world’s richest man, divorces. US-China trade talks conclude as hopes of deal build. Pope Francis says women will never be Roman Catholic priests. Mirage fighter jet crash debris found in East France, rescuers searching for 2 pilots. Apple pie to Tim Cook an Exorbitant pay rise. 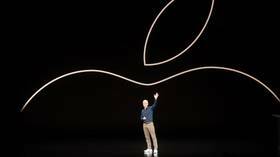 In 2018, iPhone maker Apple gave its chief executive Tim Cook a substantial pay raise of more than 20 percent, bringing his total compensation for the year to almost $15.7 million, a new filing submitted to the SEC reveals. for achieving performance sales goal and targeted operating income. which reportedly covers Cook’s private jet fare and security expenses.